Sydney Cohen lives and works in the San Francisco Bay Area, and is represented by Satellite of Love Gallery in San Francisco. She is currently an affiliate artist at the Headlands Center for the Arts, where she has a studio in the National Park in Sausalito, CA. 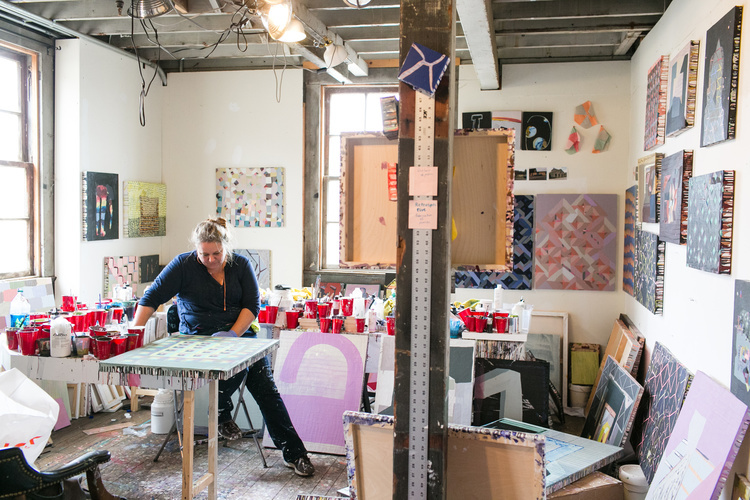 The Headlands has open houses three times a year, where Sydney's studio is open to the public. She has exhibited her work in San Francisco, Oakland & Berkeley, Atlanta, British Columbia, Iowa and Chicago, and has work in public collections in Boston and Iowa, and in private collections all over the world. She is a Senior Adjunct Professor at the California College of the Arts, where she teaches classes in color, and has taught painting, drawing and printmaking since 2002. She also teaches a long running figure drawing class at the Urban School of San Francisco. Her blog, 'I get a lot of what I do done' can be found on tumblr, where she posts new work and things she is thinking about in and outside of the studio. Kelly Hackett and Shannon Finnegan help with the website and studio, and everything that actually does get done.